Over the course of time, the skin loses its elasticity and strength, and wrinkles develop. Apart from genetic disposition and hormones, this process is also influenced by environmental factors, such as UV radiation or nicotine. The net-like branched collagen fibers of the corium are damaged and partly lose their reproduction capability. The desire to rejuvenation the skin, restoring luminosity, youth and tightness is on the rise everywhere, increasing in practically every part of the world. There has been significant interest in non-invasive methods of rejuvenation to effectively improve skin texture without patient downtime. 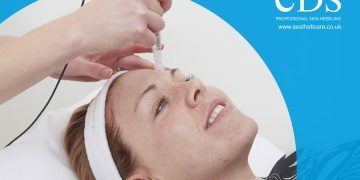 At Simply Skin we offer a variety of rejuvenation treatments, a suitable treatment plan will be advised for each individual depending on your specific needs. The removal of unsightly thread veins and blemishes on the face and legs has never been easier with our high-power diode laser. Following laser skin rejuvenation treatment the skin's natural stores of collagen are gradually replenished over the following months. Chemical peels remove old skin so that new regenerated smoother skin can grow in their place. Change the way you look and feel, erase or reduce horizontal forehead lines, vertical frown lines, and crow's-feet. Fillers help improve the appearance of deep lines, giving skin a more youthful appearance in ways that skincare cannot.